CARLSBAD, CALIFORNIA , November 13, 2018 –Nortek Security & Control LLC (NSC) today introduced 2GIG Smart Areas™ for the GC3 security panel, enhancing peace of mind by making it easier than ever to personalize security systems with partitioned security zones based on user preferences. Ensure Easy Package Delivery: Unarm the garage so packages can be delivered when no one is home while keeping the rest of their home armed. Of course, the 2GIG system enables video monitoring to confirm the delivery. Secure Valuables or Firearms: Keep valuables and guns protected by permanently arming a section of the room where safes, guns or valuables are located. Manage an In-Law or Guest Suite: Guests can arm/disarm security separately from the main house and the other smart area partitions can be off-limits to guests. Manage Rental Unit: Homeowners can rent out a spare room, or a vacation home – such as through Airbnb→ – and manage security with temporary guest access and smart locks. Keep Children Safe by the Pool: Secure the swimming pool or spa area 24 hours a day, even when the rest of the system is disarmed, to help reduce the risk of drowning accidents. Block Dangerous Areas: Keep children or family members away from potentially dangerous areas, such as medications in a medicine cabinet. The ability to arm and disarm up to four partitions independently makes 2GIG® GC3 security systems more personalized than ever before. Each smart area partition controls its local zone status, alerts, and notifications. As a one-touch solution, users can access any partition with appropriate authorization, getting to ‘Arm/Disarm’ and ‘Emergency/Panic’ functions quickly. Additionally, the simplified 2GIG interface reduces confusion and frustration for users who may not interact with their security system every day. With the common tasks displayed upfront, it’s easy to make selections. 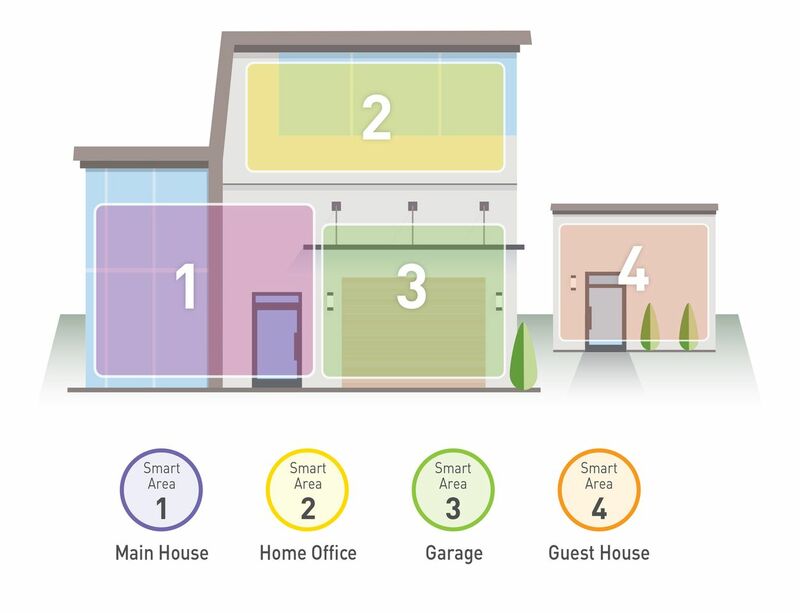 Plus, unique sound options for each Smart Area will quickly alert the user to possible issues in the zones that match that particular sound. With 2GIG Smart Areas™, the GC3 panel is the first wireless self-contained partitioning panel in the security industry, complete with a user interface, controller, wireless transceiver, and communicator all in one package that is fully integrated with Alarm.com. Visit www.2gig.com/smart-areas/ for more information.